World War I was a major war centred in Europe that began on 28 July 1914 and lasted until 11 November 1918. It involved all the world's great powers, which were assembled in two opposing alliances: the Allies (centred around the Triple Entente of the United Kingdom, France and Russia) and the Central Powers (originally centred around the Triple Alliance of Germany, Austria-Hungary and Italy). These alliances both reorganised (Italy fought for the Allies), and expanded as more nations entered the war. Ultimately more than 70 million military personnel, including 60 million Europeans, were mobilised in one of the largest wars in history. More than 9 million combatants were killed, largely because of great technological advances in firepower without corresponding advances in mobility. 1 million horses and mules were commandeered to engage in the war, with only 60,000 surviving. It was the sixth deadliest conflict in world history, subsequently paving the way for various political changes such as revolutions in the nations involved. Long-term causes of the war included the imperialistic foreign policies of the great powers of Europe, including the German Empire, the Austro-Hungarian Empire, the Ottoman Empire, the Russian Empire, the British Empire, France, and Italy. The assassination on 28 June 1914 of Archduke Franz Ferdinand of Austria, the heir to the throne of Austria-Hungary, by a Yugoslav nationalist was the proximate trigger of the war. It resulted in a Habsburg ultimatum against the Kingdom of Serbia. Several alliances formed over the previous decades were invoked, so within weeks the major powers were at war; via their colonies, the conflict soon spread around the world. Although Oskar Potiorek (1853-1933) served as a military commander in the Austro-Hungarian army, and was responsible for the first (unsuccessful) invasion of Serbia in 1914, he is chiefly remembered today as the man responsible for the safety of Archduke Franz Ferdinand the day the latter was assassinated in Sarajevo on 28 June 1914. Serving as inspector general of the Austro-Hungarian army from 1911, Potiorek was also the military governor of Bosnia from 1912 onwards. He was made directly responsible for security arrangements for the forthcoming visit of Ferdinand to Sarajevo in late June 1914. Archduke Franz Ferdinand and his wife Sophie arrived in Sarajevo on 28 June 1914, a Sunday, and was met at the railway station by Potiorek, to be taken on to the City Hall for the reception and speeches. Seven members of the "Black Hand" (Serbian nationalist secret society) lined the route due to be taken by the Archduke's cavalcade along Appel quay, planning to assassinate Ferdinand (and who had planned to kill Oskar Potiorek himself earlier in that year). One of the men, Nedjelko Cabrinovic, threw a grenade at the Archduke's car. The driver took evasive action and quickly sped from the scene. The grenade bounced off the back of the Archduke's car and rolled underneath the next car, exploding seconds later; two of its occupants were severely wounded. Archduke Ferdinand attended the reception at Sarajevo's City Hall and interrupted the Mayor's welcome speech complaining vociferously about his visit, saying: "What is the good of your speeches? I come to Sarajevo on a visit, and I get bombs thrown at me. It is outrageous!" Following the reception the Archduke determined to visit those injured in the grenade explosion at the city's hospital. Oskar Potiorek decided that the motorcade should take an alternate route to the hospital, avoiding the city centre altogether. However the driver of Ferdinand's car, Franz Urban, was not informed of the change of plan and so took the original route. Turning into Franzjosefstrasse, Potiorek, who was a passenger in Ferdinand's car, noticed that the altered route had not been taken. He remonstrated with the driver who in turn slowed the car and then began to reverse out of the street. Gavrilo Princip (aged 19) - one of a group of six Bosnian Serb assassins coordinated by Danilo Iliae (the "Black Hand" members) - was loitering on the street corner, having concluded that he and his colleagues had failed. He was amazed to see the archduke's car in front of him, and seized his opportunity. Taking aim from point-blank range, he aimed and shot - his bullets struck the Archduke in the neck and his wife, Sophie, who was travelling with him, in the abdomen. Ferdinand's last words were: "It is nothing....."
Urban drove the car to the governor's residence at Konak, where the couple died soon afterwards. The political objective of the assassination was to break off Austria-Hungary's south-Slav provinces so they could be combined into a Gretaer Serbia or a Yugoslavia. The assassins' motives were consistent with the movement that later became known as "Young Bosnia". Serbian military officers stood behind the attack. At the top of these Serbian military conspirators was Chief of Serbian Military Intelligence, Colonel Dragutin Dimitrijevic, his right hand man Major Vojislav Tankosiæ, and masterspy Rade Malobabiæ. Major Tankosiæ armed the assassins with bombs and pistols and trained them. 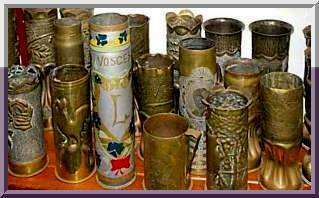 The assassins were given access to the same clandestine tunnel of safe-houses and agents that Rade Malobabiæ used for the infiltration of weapons and operatives into Austria-Hungary. The assassins, the key members of the clandestine tunnel, and the key Serbian military conspirators who were still alive were arrested, tried, convicted and punished. Those who were arrested in Bosnia were tried in Sarajevo in October 1914. The other conspirators were arrested and tried before a Serbian kangaroo court on the French-controlled Salonika Front in 1916–1917 on unrelated false charges; Serbia executed three of the top military conspirators. Austria-Hungary subsequently issued an ultimatum against Serbia, which was partially rejected. Austria-Hungary declared war with Serbia. 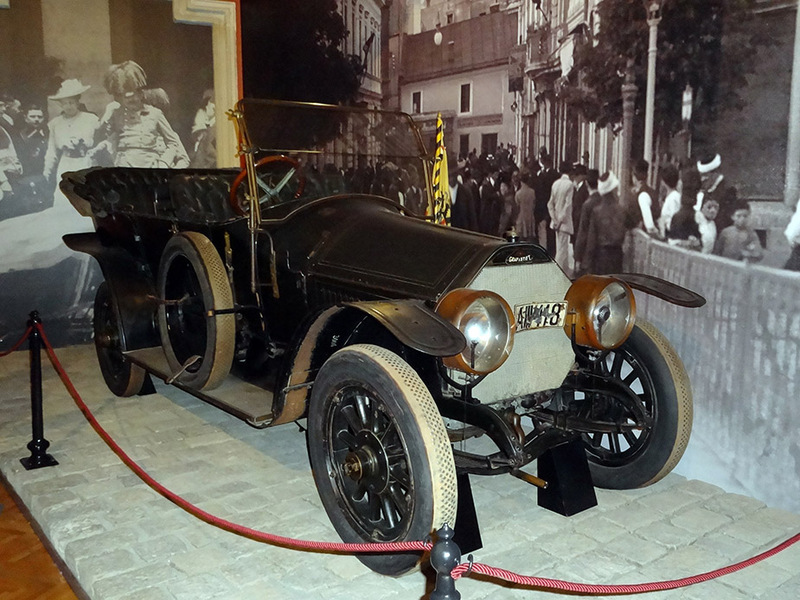 Heersgeschitelichesmuseum HGM, Vienna - the car at the heart of WW1 - with its Registration Plate Number: the so-called "cursed car" was “AIII 118,” which could refer to 11/11/18 – the last day of World War I.